Minou in filigree cat shape. By Alessi. Like her real-life role model, Minou (French for pussycat) safely balances on a bar counter, or on the table in a restaurant or café. Your bag with valuable belongings hangs on the cat’s tail in sight and in reach for better protection against thieves and dirty floors. 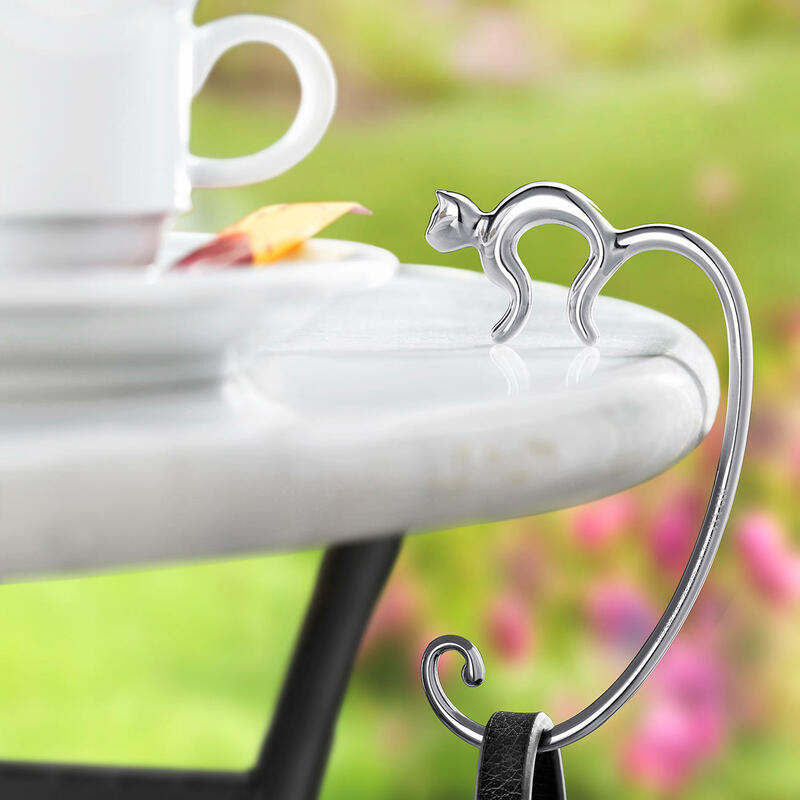 Made from one piece of stainless steel, Minou holds bags of every size and weight without ever losing her balance. This typical Alessi symbiosis of form and functionality is designed by the Belgian industrial designer Frédéric Gooris. Nice to have or to give away as a small present. Made of polished 18/10 stainless steel. Measures 10.6 x 6cm (4.2" x 2.4"). Weight: 36g (1.3 oz). After completing his master’s degree at the Domus Academy in Milan, he gained professional experience with star designers such as Philippe Starck and Stefano Giovannoni. Founded in Milan in 2004, Studio Gooris is now based in Hong Kong, where it ranks among the top ten design studios.